For our live broadcast, click here & login, at the time of the broadcast. If you missed the Broadcast with Dr. Gaynor, click here and you may listen now. Dr. Gaynor will discuss his work with The Healing Power of Sound, and how, as a Physician, he has revealed both the Therapeutic Power of, and the Recovery from Life-Threatening Illness, Using Sound, Voice, and Music. In addition to his work with sound and singing bowls, he has published studies on oncology and the effects of environmental toxins on health in peer review journals. For more information on Dr. Gaynor, see below. 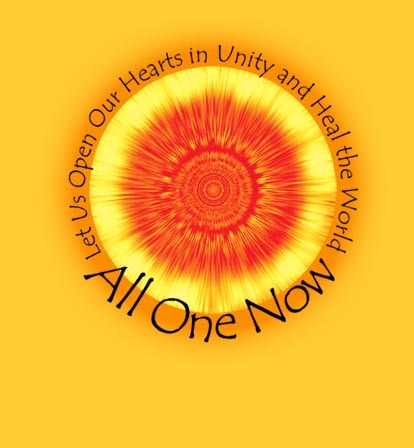 If you wish to participate, and ask Dr. Gaynor questions, you may join us in this as a Free Teleconference, which is jointly hosted by the Sound Healing Network (an international organization of sound healers, educators, researchers, and others interested in the field of sound healing,) or listen here on line. To simply listen to the live broadcast, click here & login, at the time of the broadcast. Mitchell L. Gaynor, M.D. is Founder and President of Gaynor Integrative Oncology and Clinical Assistant, Professor of Medicine at Weill Medical College, affiliated with Cornell University and New York Hospital. He has held the position of Director of Medical Oncology at The Strang Cancer Prevention Center where he still serves as a consultant. He is also former Medical Director and Director of Medical Oncology at the Weill-Cornell Medical Center for Complementary and Integrative Medicine. He has served on the Executive Review Panel at the Department of Defense - Alternative Medicine for Breast Cancer Sector and the Smithsonian Institute"s Symposium on New Frontier in Breast Cancer and the Environment. He is a frequent speaker and lecturer at hospitals, conferences and universities throughout America and abroad. Dr. Gaynor has been consecutively listed in The Best Doctors in New York since 1997 and has served on the Board of Advisors for Healthy Living Magazine, the Sass Medical Foundation, as well as the editorial board of Integrative Cancer Therapies. 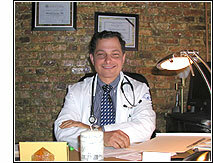 After receiving his medical degree from the University of Texas - Southwestern Medical School in Dallas, Texas, he was a clinical fellow in hematology-oncology at the New York Hospital-Cornell Medical Center and a post-doctorate fellow in molecular biology at Rockefeller University, New York City. He is board certified in medical oncology, hematology and internal medicine. He is a member of the American Society of Clinical Oncology, the American College of Physicians, and the New York Academy of Sciences. The Healing Power of Sound: Recovery from Life-Threatening Illness Using Sound, Voice, and Music (Shambhala Publications, 2002), an updated paperback edition of Sounds of Healing. Sounds of Healing: A Physician Reveals the Therapeutic Power of Sound, Voice, and Music (Broadway Books, 1999). A companion meditation tape is also available. In addition to his work with sound and singing bowls, he has published studies on oncology and the effects of environmental toxins on health in peer review journals such as Seminars in Hematology, The American Journal of Clinical Oncology, The Proceedings of the American Society for Clinical Oncology and Environmental Health Perspectives. For his work, he was awarded the New York State Assembly"s "Environmental Advocacy Award" and named "Environmental Advocate of the Year" by the Mid-Hudson Options Institute in 2002. Dr. Gaynor is well known in the media as an integrative medicine specialist and is frequently called upon to discuss such topics as nutritional aspects of cancer prevention; environmental threats to health; complementary cancer therapies; the dangers of carcinogens and health; and spirituality and healing. He has been featured in many national newspapers, including The New York Times, USA Today, Newsday, The New York Post, and New York Daily News. He has also been a source for articles in many national magazines including Newsweek, Publishers Weekly, Self, GQ, Healthy Living, New Texas Magazine and USA Weekend. His appearances on television and radio are extensive: In 1999, he was a guest on 29 radio shows. Last year, he taped shows for National Canada Radio, local stations in Vancouver, British Columbia and stations throughout America. He has appeared widely on television, including CBS Evening News with Dan Rather, ABC Good Morning America, Discovery Health-She, Fox News Channel, WNET-Channel 13 with Dr. Frank Field, Healthy Living with Jane Seymour, CBS-48 Hours and CNN Your Health. Dr. Gaynor has lectured widely, both to medical institutions and lay conferences, seminars and spiritual institutions. Recent appearances include the United Nations, New York"s 92nd Street Y, Marble Collegiate Church and Unity Village, Unity Church, Missouri. He conducts on-going healing sessions using meditation and chanting with Tibetan bowls for patients and families. He is 47 years old and was born and raised in Plainview, Texas. He lives in New York City with his wife and two sons. To help keep this work alive, please consider making a donation. For the live broadcast, click here & login.